Create a Gingerbread House & Win! 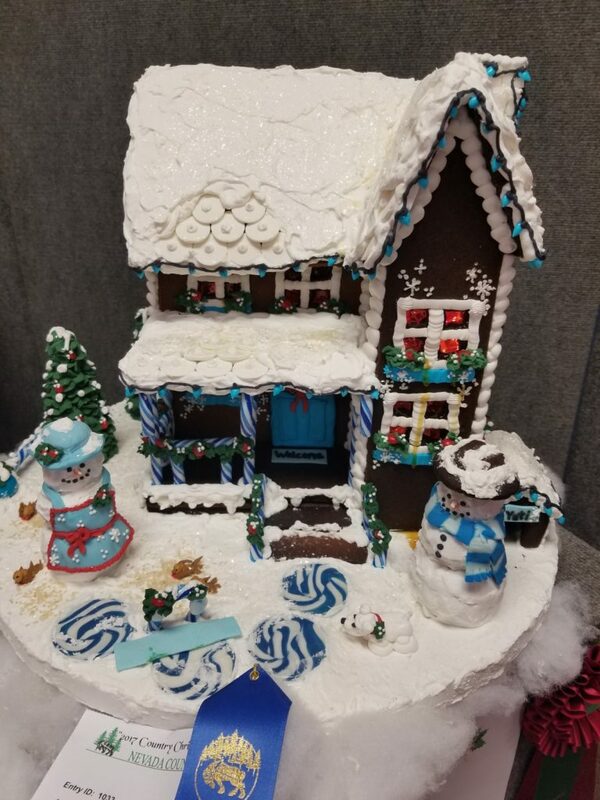 Now is the time for holiday bakers to think about the creation of a magical gingerbread house to enter in the 16th annual Gingerbread House Competition at the Country Christmas Faire, held November 23, 24, and 25 at the Nevada County Fairgrounds in Grass Valley. Competitors may enter any of the many categories, including children, teens, adults, special needs, families, and groups. There’s even a category for those who want to enter a house made from a kit. All those who enter and deliver a gingerbread house will receive one free admission pass to the Country Christmas Faire. Entry forms must be received at the Fairgrounds by Friday, November 16 by 4 pm. 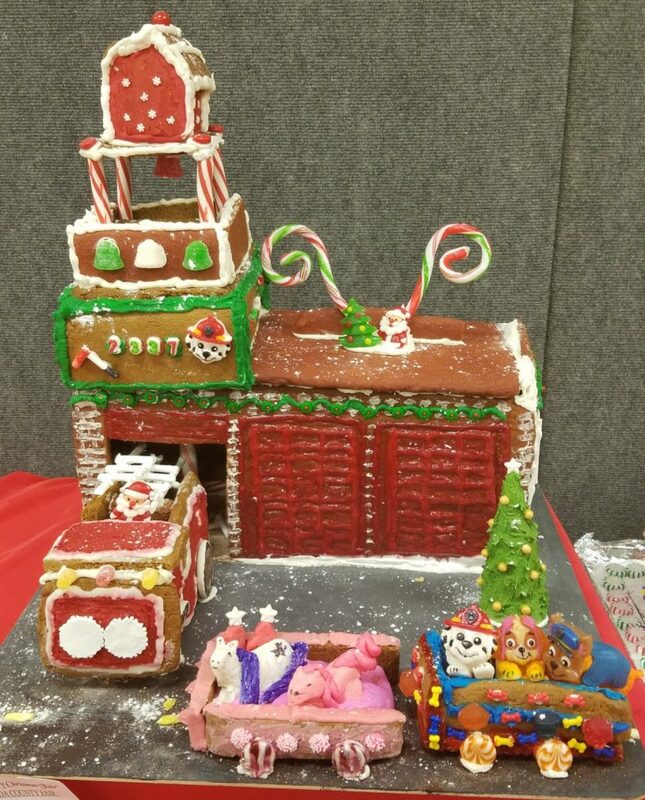 The actual gingerbread house must be delivered to the Fairgrounds on Tuesday, November 20 between the hours of 8 am – 4 pm at Ponderosa Hall. The cost is $2 to enter. Entry forms and a complete list of rules are available at the Fairgrounds office on McCourtney Road or at NevadaCountyFair.com. The Country Christmas Faire features the work of talented artisans who fill the Fairgrounds exhibit buildings with quality handmade crafts and unique gifts. Visitors can also enjoy holiday music, gourmet festival foods, wagon rides, and a community bonfire. Santa Claus will be on hand to greet children, so bring your camera to get that special photo. Santa will be available each day until an hour before closing time. Free babysitting will be offered by Girl Scouts of the Northern Mines Service Unit and parents can drop off their children for free arts and crafts while they enjoy shopping. Errand Elves from Clear Creek School will be available in the lobby of Main Street Center to assist shoppers throughout the event. 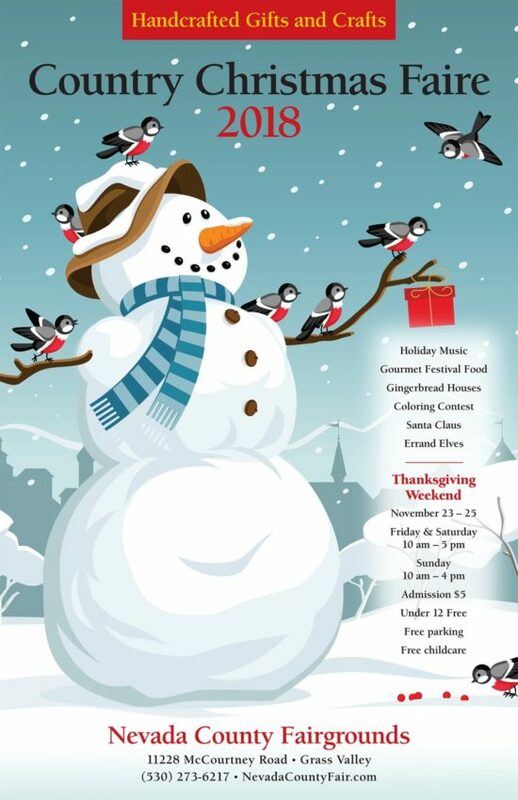 The Country Christmas Faire begins Friday, November 23, and runs through Sunday, November 25. The hours are 10 am – 5 pm on Friday and Saturday; and 10 am – 4 pm on Sunday. Admission is $5 for adults and free to children 12 and under. Parking is free. The Nevada County Fairgrounds is located at 11228 McCourtney Road in Grass Valley. For more information, visit NevadaCountyFair.com or call (530) 273-6217.